The Improbability Principle: Rare events and coincidences happen all the time. Five reasons why absurdly improbable things happen all the time. Landing on black 26 times in a row? It’s bound to happen sooner or later. The newspaper notice said that Frank Hughes, of Hilda Street, Darlington, in the United Kingdom, had died on Aug. 1 at the age of 80, and gave the time and place of the funeral ceremony. Several of his friends and workmates turned up to pay their respects, and they joined the family and other mourners afterward. So imagine the shock Frank’s friends must have felt when, just an hour later, they saw him walking along the street toward them. It turned out that the newspaper notice announcing 80-year-old Frank’s funeral wasn’t referring to the retired bus driver and D-Day veteran his friends thought it was. It was actually referring to another Frank Hughes of the same age and from the same town. That Frank Hughes was an ex-merchant-seaman, which explained why the family members weren’t surprised to see people they didn’t recognize at the funeral. And then there were the two Franz Richters, both 19, both volunteers in the Austrian Transport Corps after World War I, both born in Silesia, and both suffering from pneumonia, who were admitted to the same hospital at the same time. At a more elevated level, in the 1700s, when Samuel Johnson (who’s been described as “arguably the most distinguished man of letters in English history”) was invited to write a translation of a volume on the administrative apparatus of the Roman Catholic Church, it was found that another Samuel Johnson, this one the Librarian of St. Martin’s in the Fields, had also been invited to translate the work. A literary skirmish took place between the two Samuel Johnsons, with the unfortunate consequence that neither carried out the translation. Extraordinary coincidences, perhaps. But highly unlikely? Not when looked at from the right perspective. And that perspective is given in my new book, The Improbability Principle. It tells us that extremely improbable events are commonplace. Since that may sound like a contradiction, let’s take a closer look. The improbability principle is composed of five laws, analogous to the four laws of thermodynamics or Newton’s three laws of motion. These laws, the law of inevitability, the law of truly large numbers, the law of selection, the law of the probability lever, and the law of near enough, explain exactly why we should expect to encounter highly unlikely events, and indeed why we should expect to do so on a regular, even frequent, basis. 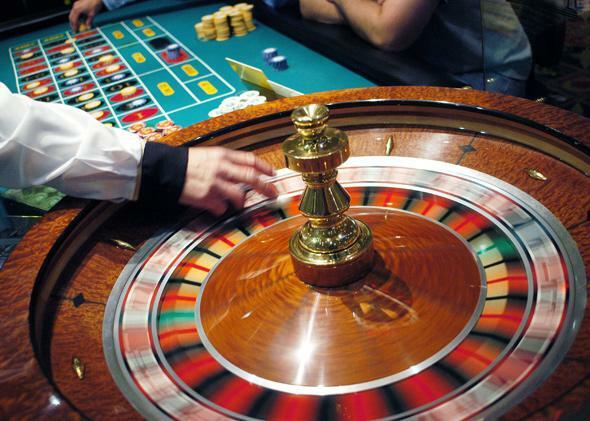 Any one of the laws acting by itself can lead to a highly improbable event—like people winning the lottery twice, or 26 black numbers coming up one after another in roulette. (The details of these as well as many other apparently extraordinarily unlikely events are given in my book.) But the impact of the principle gets even stronger when the laws intertwine and work together. When that happens, we see people being struck by lightning—not just once but, despite the old adage, twice and then time after time. We see the same lottery numbers coming up in two consecutive weeks. We see apparent manifestations of extrasensory perception, people narrowly avoiding disaster after disaster, financial crashes that shouldn’t happen in a billion years, and countless other extraordinary events. We also learn how tipsters correctly predict stock market moves, how you can increase your chance of winning the lottery, why the student who comes out on top today is less likely to do so tomorrow, and how psychics can make correct predictions. They are all a consequence of the solid mathematics embodied in the improbability principle. Let’s take my opening theme of name coincidences further. In fact, let me make it personal. In 2012, when I checked into my hotel for the Royal Statistical Society’s conference in Telford, United Kingdom, I found that I was the second David Hand to check in. It wasn’t that I’d accidentally registered twice—there really was another David Hand in the hotel. Now, most of the Google generation knows that there are others with the same name out there. After all, who among us has not succumbed to the temptation to search for our own names? I already knew of David Hand the former bishop of Papua New Guinea, and David Hand the former Disney animator. But I also knew that both of them were dead, and I certainly wasn’t expecting to meet any of my namesakes. So, when I checked into the hotel, my first thought was that such encounters between people with the same name must be incredibly rare. Highly improbable events, right? But then I recalled the improbability principle. That strand of the principle that I call the law of near enough says that events that are sufficiently similar may be regarded as identical. So how does that increase my chances of meeting other people with my name? After all, however you cut it, surely I don’t have many opportunities to meet other David Hands? Well, actually, I didn’t meet someone else with my name. It was the hotel receptionist who spotted the identical names. So it wasn’t quite me meeting them, but it was near enough to be identified as a coincidence. The difference between me meeting him, and the hotel receptionist spotting the names, is dramatic. Suppose I check into hotels 20 times a year, and that over the course of a week 400 people check into each hotel. That’s 8,000 opportunities for a receptionist to spot the match. That’s far more than the relatively few new people I meet personally each year. What if we combine this with the law of truly large numbers? This says that, given enough opportunities, the probabilities of even very unlikely events can mount up to be almost certain. I’ve been attending conferences for several decades now. The number of opportunities for such an encounter is starting to build up. The law of truly large numbers is amplified by a subsidiary law, the law of combinations. I’ve been talking about the chance that another guest would have the same name as me. But what’s the chance that some two or more guests in the hotel will have the same name as each other? The answer depends on how many people there are with each name. In the United States, for example, there are some 50,000 John Smiths, about 1,000 James Bonds, and approximately 100 Harry Potters. And, for the record, about 300 with the name David Hand. Just to show how the law of combinations can have a huge effect, I’ll simplify and suppose there are 50,000 names in the population, and that the same number of people have each name. Calculation shows that if just 263 check into a hotel, then it’s more likely than not that at least two of them will have the same name. No wonder highly improbable events are commonplace! Things are further amplified by another manifestation of the law of near enough. Sure, I knew of two other people who had been named “David Hand,” but were they David J. Hand? In fact, the Disney animator was David D. Hand, and the former bishop of Papua New Guinea was G. David Hand. Not an exact match, but near enough for me to be struck by the coincidence. Indeed, no doubt the hotel receptionist would also have noted it if the other David Hand checking into the hotel had been David Hands, not David Hand, or if he’d been Daniel Hand or Donald Hand. In each case it would have been near enough to make the receptionist sit up and take notice—to regard it as a coincidence. Every time the law of near enough comes into play, it increases the chance of a (near) match, and makes it more probable that one will see a coincidence. So the various laws of the improbability principle work in concert to make it quite likely that encounters between two people who have the same name will occur. It’s not surprising at all: Extremely improbable events are commonplace. That’s all very well, but it’s a bit harder to explain the coincidence of the two Dennis the Menaces. On March 12, 1951, issue No. 452 of the British comic The Beano appeared on the streets. Inside it was the first appearance of Dennis the Menace. A few hours later on the same day, but on the other side of the Atlantic, a syndicated comic strip was launched in American newspapers—you may see it even today. The character was called Dennis the Menace. Fair enough, you may say: a simultaneous (allowing for time differences) launch of the same cartoon character—except that the British Dennis the Menace was drawn by David Law, and the American one by Hank Ketcham, and they’d never heard of each other’s creation before. The two Dennis the Menaces could hardly be more different. The British one has spikey black hair, an evil grin on his face, wears short trousers, and causes all sort of mayhem. You will get the picture when I tell you his dog (who joined Dennis in 1968) is called Gnasher. The American one has smooth blond hair, wears long trousers, and often embarrasses adults by virtue of his innocent honesty. His dog is called Ruff. The simultaneous but unconnected appearance of these two characters, with the same name on the same date on opposite sides of the Atlantic, seems to be just one of those extraordinary coincidences. Except … when such coincidences occur, out of the countless billions and billions of things going on around us every moment, we notice them. We abstract them from the boiling noise of random events and say, “Hey, look! What an extraordinary coincidence!” Coincidences are as much a feature of the human mind as of the external world.